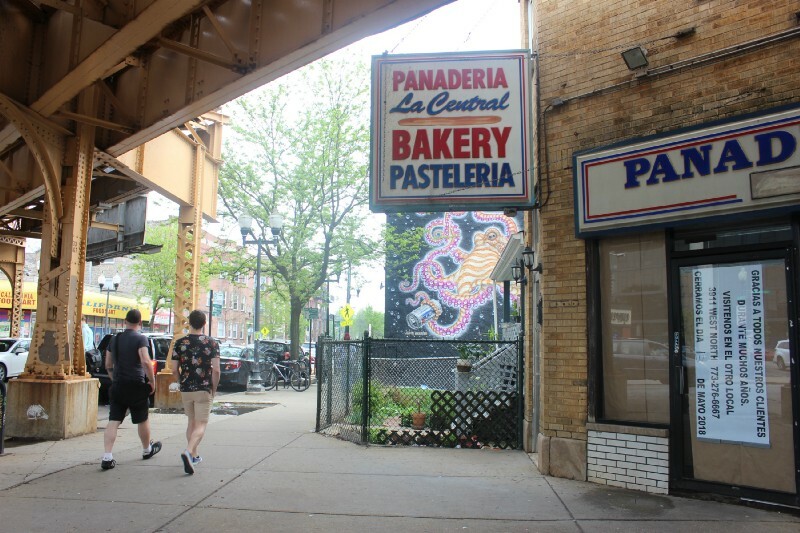 After 35 years in Logan Square, Panaderia La Central’s owner said the bakery was no longer viable without its loyal Hispanic customer base. LOGAN SQUARE — Back in the 1990s and the early 2000s, the Mexican bakery beneath the California Blue Line station was thriving. Every morning, regular customers would wait in lines wrapped around the block to get their hands on Panaderia La Central’s freshly baked Mexican bread, among other treats. But that hasn’t been the case for many years, according to owner Rosa Acevedo. Like many longtime businesses in gentrifying Logan Square, the bakery at 2218 N. California Ave. had struggled in recent years to make ends meet as its Hispanic customer base grew smaller and smaller. With sales plummeting and expenses piling up, Acevedo pulled the plug on the bakery this week after 35 years of business. Gentrification sounded the death knell for the small bakery, she said. “A lot of young kids are moving into the area, but the young kids don’t buy bread. It’s the older Hispanic people that buy bread,” Acevedo said. Acevedo said she opened the bakery in 1983, long before the neighborhood demographics shifted. In 2002, she helped the father of her children open Taqueria Moran directly across the street, at 2226 N. California Ave.
Acevedo has always been focused on the bakery, but she frequently helps out at the popular Mexican food joint, working there when she can. “He helps me, I help him,” she said of Taqueria Moran’s owner. Though the two businesses are technically owned by the same family, they have always operated separately, Acevedo said. The bakery closure does not mean Taqueria Moran is next, she stressed. What will happen to the bakery building, however, is uncertain. Acevedo owns the building, and she’s looking to either rent out the space to a new tenant, or sell the building altogether. She said “everything is up in the air.” The site is right beneath the California Blue Line, making it prime real estate for developers, particularly those who are looking to build transit-oriented projects. Luckily for fans of the bakery, there is a second Panaderia La Central location at 3911 W. North Ave. Acevedo said this location is safe from closure “for now,” adding, “we’re going to see how it goes.” She said she was encouraged by the amount of Logan Square customers who went to the North Avenue location the day the Logan Square location closed. Acevedo has worked in the neighborhood for decades, but she lives in suburban Elmwood Park. When she talks about gentrification in Logan Square, she speaks matter-of-factly, and without bitterness.